Agency officials declared progress for the endangered species in New Mexico and Arizona, saying there are at least 131 wolves in the wild in the two states. That represents a 12% jump in the population. The rarest subspecies of gray wolf in North America, Mexican wolves have struggled to gain ground since the first release in 1998 because of poaching, politics, legal challenges and even complications from a lack of genetic diversity. "The Mexican gray wolf has come back from the brink of extinction thanks to scientific management and the dedicated work of a lot of partners," said Amy Lueders, head of the agency's southwest region. The population increase comes as gray wolves have marked their own turnaround elsewhere, prompting federal officials to reconsider that species' endangered and protected status. Now more than 6,000 gray wolves live in portions of nine states. 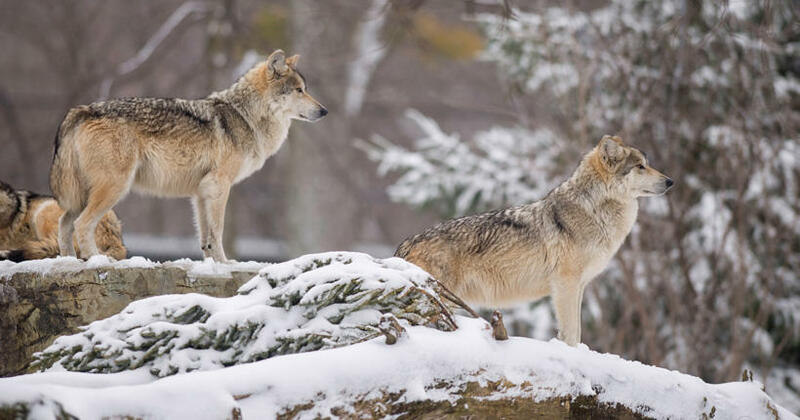 Making up only a fraction of the wolves in the U.S., Mexican wolves are in a more precarious position with their limited numbers and the population is still far from where biologists had initially envisioned the species would be by now. Environmentalists have long called for the release of more captive wolves to boost the population in the Southwest. Ranchers and others in rural communities within the mountain ranges that border wolf territory have pushed back, citing livestock kills and safety concerns. Federal wildlife managers have been working with partners in Arizona, the White Mountain Apache Tribe and the Mexican government to mitigate concerns related to the reintroduction on both sides of the international border, but ranchers in New Mexico and Arizona continue to document conflicts that range from cattle deaths to nuisance reports. During the first two months of the year, officials reported 18 confirmed livestock kills in New Mexico and two in Arizona. Environmentalists have argued that not enough is being done to discourage wolves from preying on livestock. Despite the ongoing battles, officials said they're still encouraged by the growth in the wolf population given that 21 wolves were found dead during 2018. Another four were reported dead in the first two months of 2019, including an alfa female that died in February after being captured during the annual census so its collar could be replaced. The census also showed an increase in the number of packs in the wild. That now stands at 32, with half of them rearing pups that survived at least through the end of 2018. In all, more than 80 pups were born last year and biologists say the survival rate was shy of 60%. That's an improvement over past years. Jim deVos with the Arizona Department of Game and Fish said the uptick in wolf numbers isn't isolated but rather a continuation of ongoing increases over the last decade. The survey was conducted over the winter, using teams on the ground as well as low-flying helicopters. The results create a snapshot of the wolf population that biologists use as they make management decisions related to the species. Biologists with the National Academies of Sciences, Engineering and Medicine have declared that the Mexican gray wolf is a valid subspecies.  KNAU’s Ryan Heinsius reports, it strengthens the case for keeping the animal’s federally endangered status. Gray wolves in the U.S. would be stripped of federal protection and subject to hunting and trapping in more states under a proposal released Thursday that declares the predators recovered following a decades-long restoration effort. Mexican gray wolves were once common throughout the southwest United States and into central Mexico. But their populations were decimated in the nineteenth and twentieth centuries as human settlement exploded. Prey decline, habitat degradation, and federal predator control programs all but wiped out the animals. By the 1970s, Mexican wolves had almost completely disappeared from the wild. Arizona ranchers can now apply for grants as part of an effort to research measures that could prevent conflicts between livestock and Mexican gray wolves.